Fairfix TA Ultrais a polymer rich, cementitious tile adhesive for thin or thick bed fixing of ceramics tiles in interior or exterior situations and ensures excellent bonding on concrete and plasters conforming to BS 5980 TYPE 1 CLASS AA , BS 5385 PART 1 & IS:15477:2004. • High adhesive bond strength. • Non-slip and has excellent grab properties. • Waterproof immersion does not affect adhesion. FAIRFIX TA ULTRA can be used for fixing tile on tile applications, ceramics, glass mosaics, swimming pools, bathrooms, kitchens, laboratories, canteens, etc. 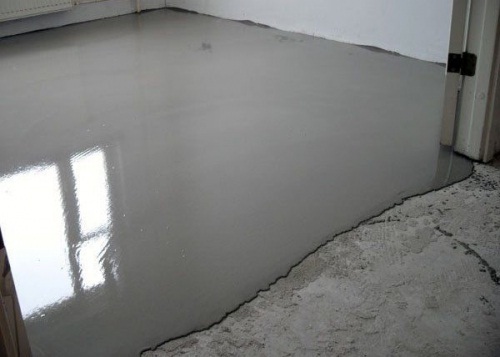 It provides strong adhesion to cement / sand screeds, concrete and brickwork. It is also suitable for substrate such as glazed tiles, terrazzo and suitably prepared timber. All surfaces should be sound and thoroughly cleaned before FAIRFIX TA ULTRA is applied. All traces of greases or oil must be removed with degreaser. 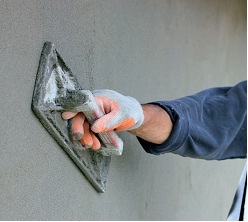 All loose particles of mortar must be physically removed. FAIRFIX TA ULTRA can be applied directly on concrete, cement screeds, cement, lime mortars andexisting tiles. Timber surfaces should be checked to ensure rigidity and soundness to accept the additional loading without deflection. Provision must be made to ensure adequate ventilation beneath tiled timber flooring. FAIRFIX TA ULTRA should be mixed with water in the ratio of 3:1 by volume. Place gauging water in a clean mixing vessel. Add powder and mix with a suitable stirrer or mixer mounted on slow speed electric drill until a plastic, lumps free consistency is achieved. Hand mixing may be allowed if drill/paddle is not available. Allow to stand for 5 mins before use. Apply thin bond coat to the substrate with the straight edge of the trowel. Then comb mortar on to the fresh bond coat with the notched edge of the trowel working in the direction. Apply only that much mortar which can cover the tiles within the open time. Open time can be checked by touching the adhesive bed with fingertip. Position tiles in the adhesive bed and align with a slightly pushing motion, ensuring the tile back achieves full contact with the adhesive. Remove excess adhesive with a damp cloth before material has set. Joint grouting may be commenced24 hours after tiles have been laid. FAIRSCREED TG (WB) is a thixotropic, Two Pack Water dispersible Epoxy based tile grout ideal for all type of tile joints. FAIRSCREED TG (WB) is a V.O.C. free product, so it is Eco friendly. Also it provides excellent adhesion even under Damp Condition. 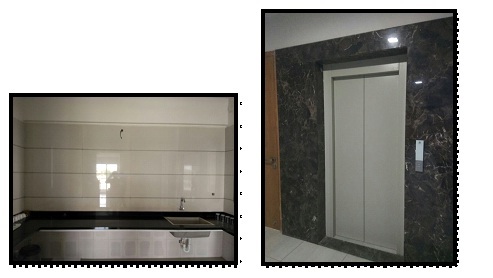 Tile gap width of 10 to 50 mm gap can be filled easily with FAIRSCREED TG (WB). • Thixotropic in nature, so suitable for application in both Vertical & Overhead locations. • FAIRSCREED TG (WB) is a Water Base Epoxy paste adhesive particularly suitable for all types of Tile Joints. • FAIRSCREED TG (WB) can also be used for thin section concrete repairs. Mixing: The Base and Hardener components should be mixed thoroughly using a stiff spatula or slow speed drill with paddle attachment, until a uniform colored mixture is obtained. Application: The application of FAIRSCREED TG (WB) is best using Spatula, Trowel, Serrated trowel or Stiff bristled brush depending on the gap of joint to be treated. FAIRSCREED TG (WB) is supplied in 1Kg & 5Kg Pack. 1 kg of FAIRSCREED TG (WB) covers 13-15 running feet at 5mm x 5mm groove size. FAIRMATE WALL PLASTER is a polymer based Off- White colored wall putty. It has excellent adhesion on any cement surfaces. 3. Excellent bonding & finishing. 4. No curing is required. 5. Excellent consistency hence suitable for application. 6. Can be used in Interiors. 10. It has an excellent coverage of 11 Sq. Ft. per kg of the product. surfaces of precast concrete, sand cement plaster etc. 3. Can be used in Interiors and Exteriors. The surface for the application should be absolutely dry. There should be at least 10 days gap before FAIRMATE WALL PLASTER is applied for newly plastered surfaces. Remove all loose material and wipe off the powder with cotton cloth. Apply FAIRMATE WALL PLASTER with painter’s putty knife or mason’s steel trowel on the surface. Allow to dry it completely and rub the surface with emery paper No. 320. The loose powder on surface should be wiped off with cotton waste. • Sand cement composes of Ordinary Portland Cement (OPC) and sand. OPC is used for rendering and masonry while sand is normally river sand, which is hard to control grain size, cleanliness, and quality. • Inconvenience to work with OPC comes in form of small bags and sand must be bought in huge quantity, which extensively occupy storage areas. OPC and sand must be relocated to another area for mixing and the process is dirty and dusty. Tiles need to be soaked in water for at least one day before being laid with sand-cement, and this is time consuming. • To lay tiles with sand-cement traditional way is to apply the mixture of sand-cement in lump on tiles’ back so it has to be done with one tile at a time. 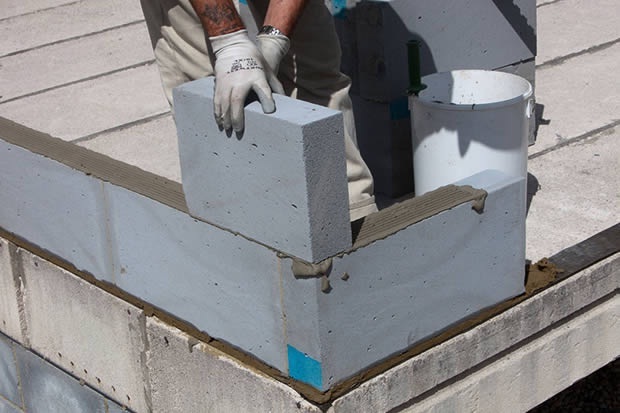 • Without additive to help retaining water, mixture of sand-cement dries fast and then causes the difficulty to adjust the tiles after being laid. This leads to aesthetic problem of the line of tiles and also poor bonding strength, which will be the reason of de-bonded tiles later. Laying tiles traditional way by applying sand-cement mixture in lump at tiles’ back will create voids underneath the tiles and water can seep through. This creates white stain problem. Moreover, tile will be fragile at the area without any adhesive underneath. • Poor bonding strength of sand-cement mixture causes by dirt(mitti) in the sand and uncertain proportion of the mixture. 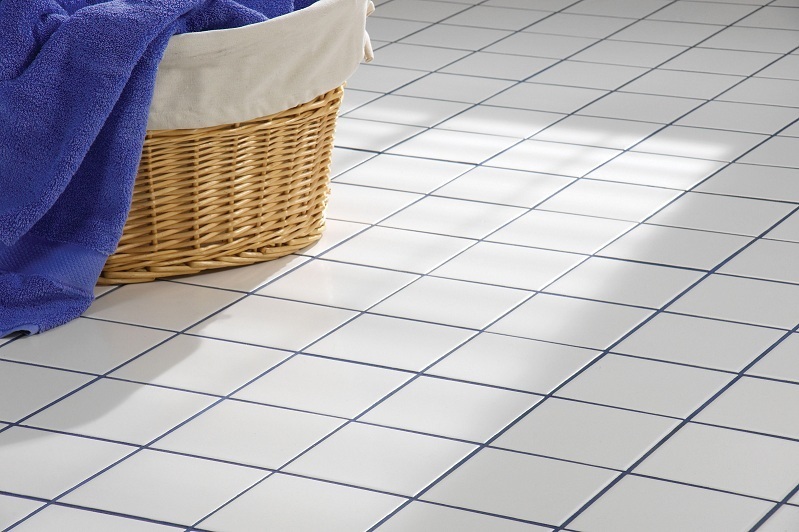 Besides, there are limitations to use the mixture for laying following tiles in the following conditions. Tile adhesive is ready-mixed and specially formulated from special cement grade, selected fine sand, and additives to improve its essential properties for laying tiles. High performance tile adhesive can be used to lay tiles on existing tiles, on polished cement, on wooden substrates (with the use of primer), or on other special substrates. • Applicable on existing tiles, many special substrates like polished cement, dry wall system, etc. FAIRFIX MORTAR confirms to IS 15477: 2004. It is approved by Bureau of Indian Standard vide ISI registration no. CM/L 3717363. FAIRFIX MORTAR is composed of ordinary Portland cement properly selected & graded aggregates, polymer, rheology modifier & additives. It is used for fixing of ceramic tiles, glaze tiles, natural stones, etc. 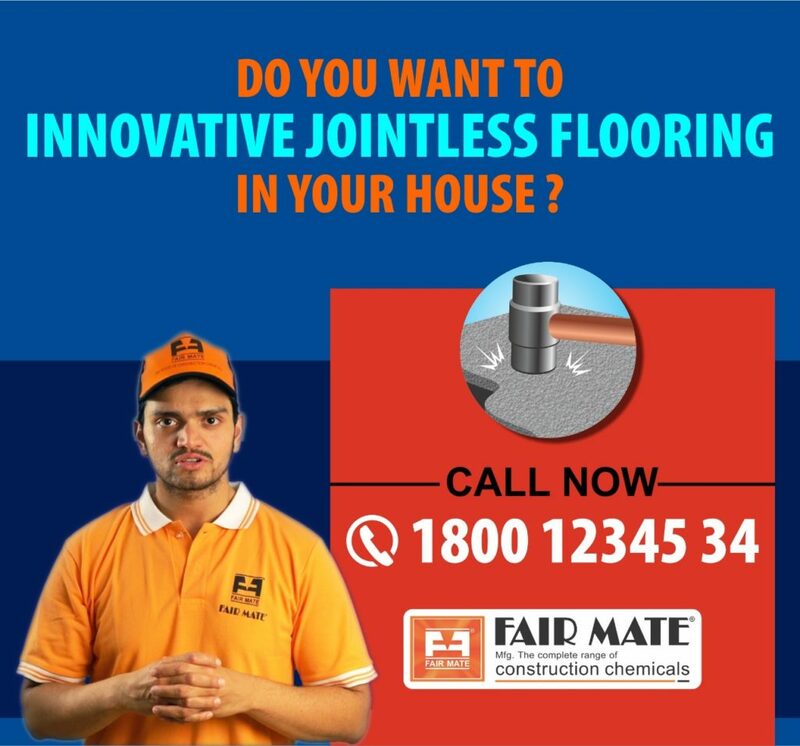 internally & externally over walls & floors with an added application of tile on tile because it gives excellent bond on cementitious surfaces like, concrete, plaster, etc. It forms a waterproof barrier between two surfaces and has excellent ‘grab’ properties of tiles to the substrate. 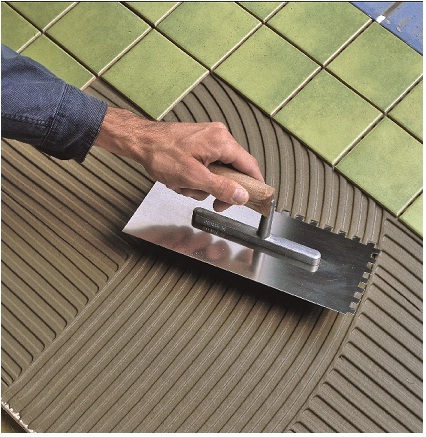 It is specially designed for heavy-duty tile applications like granite, mosaic on internal/external vertical surfaces. Highly flexible adhesive also has an excellent waterproofing ability. 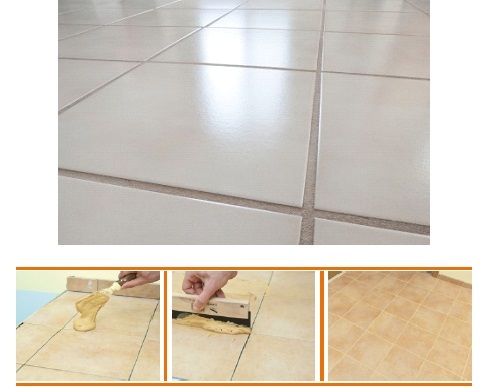 • Permanent fixing of ceramic tiles. • Fixing of insulating and acoustic boards. 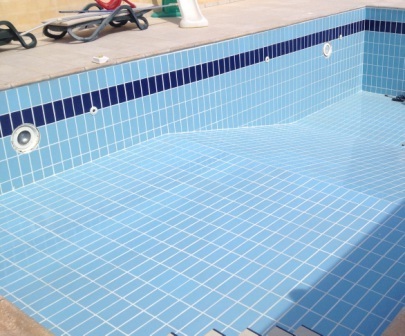 • Swimming pool tile fixing. • Large format tiles on internal/external applications.